SIAM, 2012. xii+256 pages, Softcover, ISBN 978-1-611972-08-5. 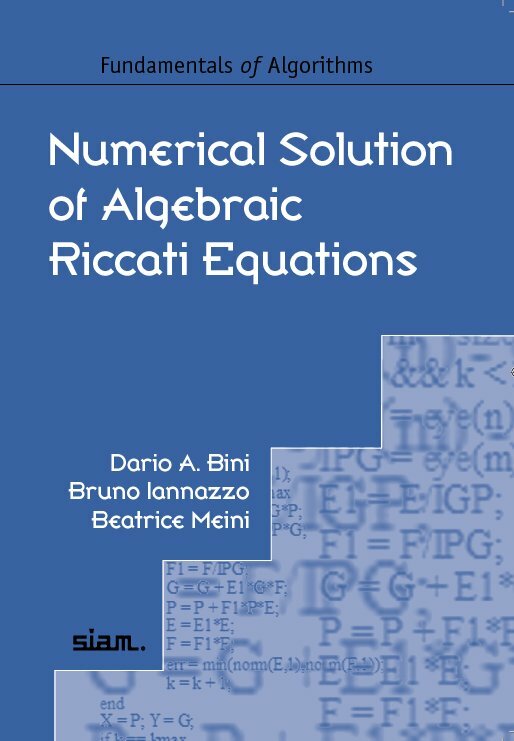 This concise and comprehensive treatment of the basic theory of algebraic Riccati equations describes the classical as well as the more advanced algorithms for their solution in a manner that is accessible to both practitioners and scholars. It is the first book in which nonsymmetric algebraic Riccati equation are treated in a clear and systematic way. Some proofs of theoretical results have been simplified and a unified notation has been adopted. Order the book from SIAM, using the shopping cart. Order the book fron Cambridge University Press. M-files from the book for downloading.